The Loveliest Village on the Plains has held a special place in my heart for the past 20 years. Since stepping on campus as a freshman in 1997- Auburn will always be a place I call home! Auburn provided many opportunities for me to grow as a servant, leader, friend, and member of the fearless and true orange and blue. I was blessed to experience a balanced and blended community of fun and fellowship while focusing on my future. As an Auburn Tiger, I connected and fully committed myself by actively participating in the AU culture and improving the campus and community as a Camp War Eagle Counselor, Student Alumni Board Charter member, Lambda Sigma Honor Society member, President of the National Pan-Hellenic Council, Dunkin’ Darlings (Secretary), Delta Sigma Theta Sorority, Inc.-Kappa Upsilon Chapter (various positions), Miss Auburn 2001 Campaign Manager, and the Black Student Union. My involvement in these capacities taught me essential management, leadership, and interpersonal skills, the importance to pursue progression not perfection, to build bridges and break down barriers and boundaries, and the significance of hard work and excellence. I continue to benefit from these critical life lessons. I am proud to dedicate my time, talent, and treasure as a dedicated and passionate community volunteer and practitioner in the Non-Profit Management and Leadership arena where I strive to stand up, speak out, and serve to help others. 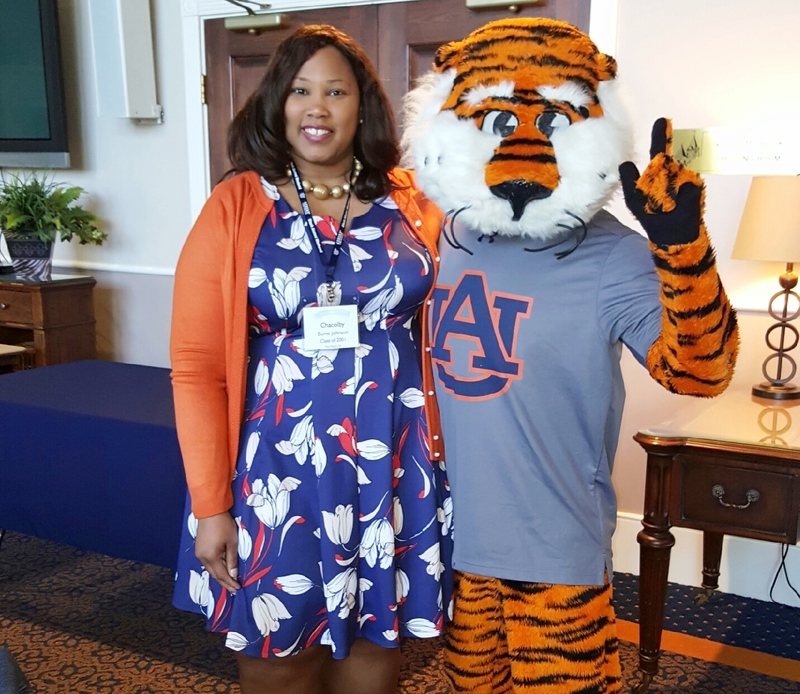 Because of Auburn, I became my very best self and grew “a Spirit that is not afraid” while connecting, leading, and uplifting others with love and compassion.